The Mexican Riviera on the Carnival Cruise Lines "Carnival Splendor"
Located on the souther tip of the Baja Peninsula, Cabo San Lucas is noted for its vitality and nightlife, with view of El Arco, a natural rock formation shaped like and arch that lays adjacent to Lover Beach (Play del Amor). Popular excursions include snorkeling of Lovers Beach, deep sea fishing or a Water taxi to the local beach front Cantina, "The Office"
Mazatlan boasts a long stretch of beachfront making it one of the most popular resort destinations in Mexico. The beaches are long and the waves are big enough for surfboarding or body surfing. Popular things to do include parasailing or shopping La Zona Dorada (the Golden Zone). There are a number of quality silver shops along Avenida Playa Gaviotas. 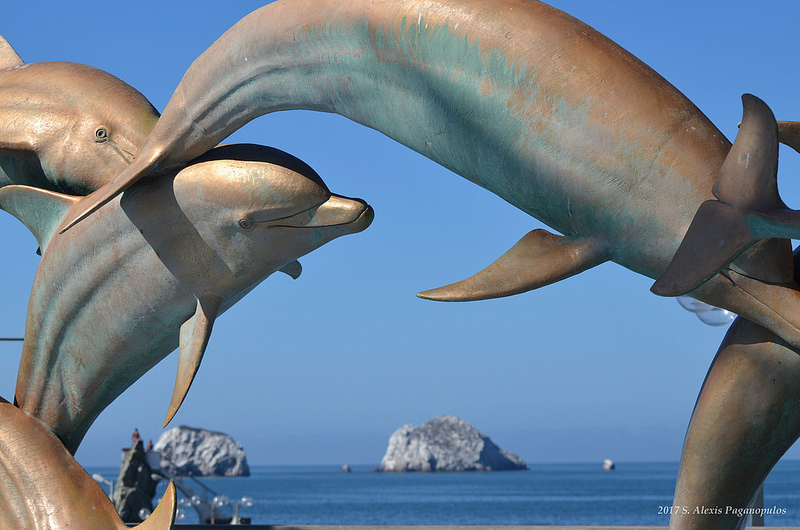 Once a tiny fishing village, the area surrounding Puerto Vallarta retains the laid back feeling of "Old Mexico." 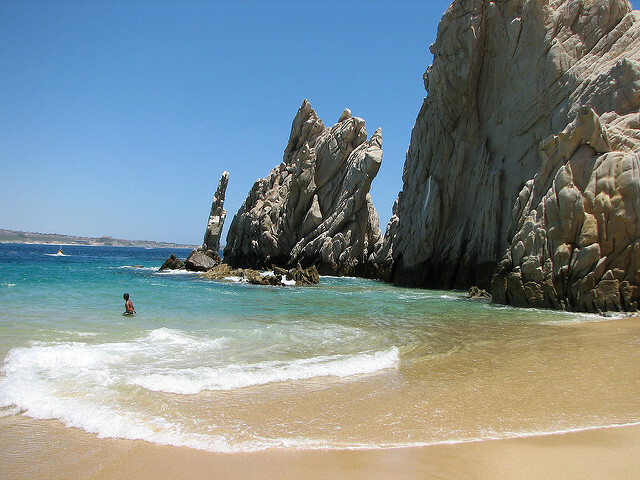 The city is surrounded by lush mountains on one side and the 24-mile-long Bay of Banderas on the other. The scenic locale is punctuated with winding stone-paved streets, bordered by old buildings with red tile roofs. You can ride horseback along mountain trails, go zip-lining through the jungle, or walk to a scenic waterfall. Prices are per person based on double occupancy and include port charges and taxes. 3rd and 4th passenger rates cannot be held in group inventory and are subject to availability. Triple and quad cabins require $250.00 per person deposit at time of booking unless Carnival has a special promotion offering reduced deposits. A $100.00 per person deposit due August 6, 2018 will secure a selected cabin category and rate (cabin number not assigned) from the allotted group inventory being held. A$250.00 per person deposit at time of booking will secure and assign a specific cabin number and location on the ship along with the preferred dining time. Please note cabin assignments and dining time cannot be confirmed until the full deposit of 250.00 per person has been placed on the booking. We recommend that guests make the full refundable deposit of $250.00 per person so we can then confirm the best available cabin locations and dining time preference. Carnival Cruise Line has the right to contact us at any time to review the group inventory held on sail dates that are at risk of being oversold. During this review, all unsold space (stateroom inventory without names and full deposit) can be recalled. No guest under the age of 21 will be booked in a stateroom unless accompanied by an adult 21 years or older. This age limit will be waived for underage married couples (proof of marriage is required at check-in) or minor children sailing with their parents or guardians in adjacent staterooms.Proof of citizenship will be required to board the ship and either a valid passport OR a certified county copy of the guests birth certificate along with a government issued photo ID. Insurance is available to purchase through Carnival Cruise Line at an additional charge of $95.00 up to $119.00 per person based on the price charged for the cruise.